A strong internet presence is crucial in order to compete in today's competitive marketplace. Whether your online objective is to sell products, generate leads, or improve client relations, My City Me will develop a successful creative solution suited to your needs and budget. Our Website Design and Development services are built around one simple principle. A website must be intuitive, functional and clear. 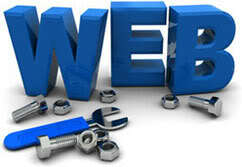 We are experts at creating and improving development websites. My City Me is well-versed in designing affordable website that not only showcase your unique capabilities, but also make it easier for people to do business with you. We design with your customer in mind. Need support for maintaining your website for updates to your website? My City Me can maintain your website updates from minor text revisions to expanding your website products, galleries and/or pages. Every website should be updated to keep your website fresh for your regular visitors. My City Me can review your existing website and design and build you a new, refreshing website at a lower cost. My City Me offers hosting maintenance for most individuals and small businesses. Need that special domain name? We can help you register that special name, give us a call today and we can help manage your websites hosting and domain name right away. Customize Website Development: What do you get for your money? With all the tasks a web designer needs to do, this leaves very little money to do any task well. Most likely you will get a website based on a template with a pre-built graphical design, rather than a customize graphical design. Your site may be limited in features and you may have to add much of the content yourself. At this price level, the budget is more realistic which allows the web designer to devote more time to each task. You will be able to get a customize graphical design for this price, as well as a decent set of features. However, the design time is limited, so expect some limitations. You may also have to add the content on your own. Standard Customize Web Design & Development comes with Web Navigation, Banners, Header, Footer, Web Forms, Web Coding Work, Graphic Design Features, Web Features, Limited Content Management. Store Front Layout Features, Ecommerce, & My City Me Social Design Blog. Advance Customize Web Design & Development comes with Web Navigation, Banners, Header, Footer, Web Forms, Web Coding Work, Graphic Design Features, Web Features, Content Management, Store Front Layout Features, Ecommerce, Social Media Design, Visual Communication, 10 different design layout pages, & My City Me Social Design blog.